That's a pretty good deal. If you're not in to gaming then that would be good for browsing and downloading files etc. I do have 2 questions though, maybe someone who currently uses mobile broadband could answer. 1. What is mobile broadband like for streaming services, do they buffer or are they ok? 2. What is the upload rate like? Hi Bowdon, both you and ISP review are a little out of date. Three have had unlimited data since around Black Friday for £20 a month, which you can use in a modem if you want to. The specific data sim that you linked to is more recent I believe. For answers to your questions see this thread and the ones that are linked to in it. 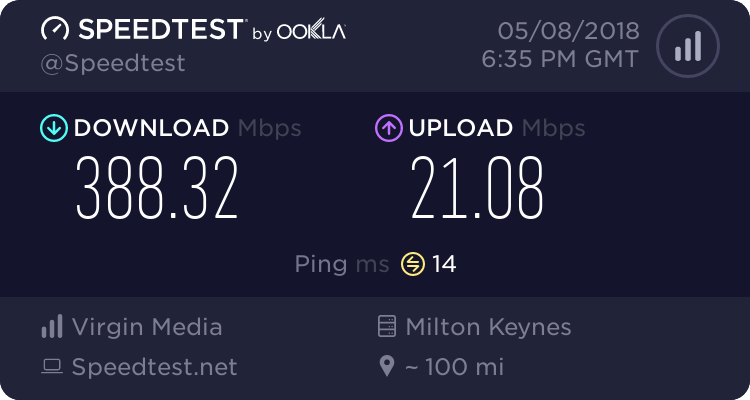 The biggest issue with mobile broadband is CGNat and the lack of a public IP, but if you don't game and don't need to access your network remotely then it's probably fine. My speeds at home on my phone reach 100/30Mbps via Three 4G, but very much depends on location and congestion.